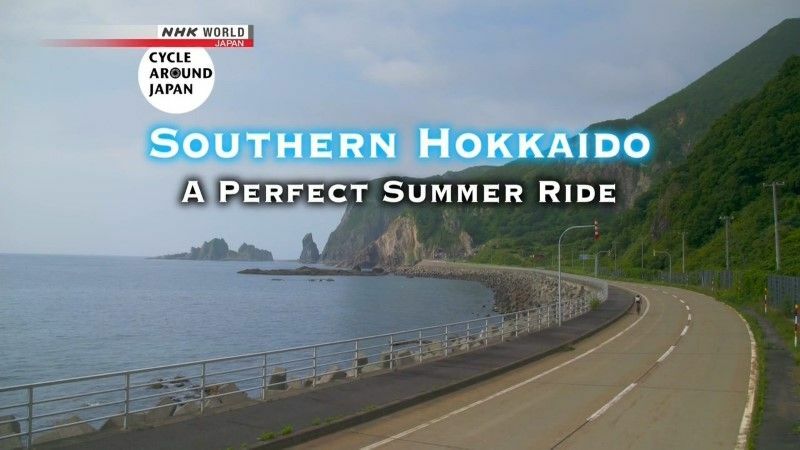 Come along on a 550-kilometer bike ride through the grand scenery of Japan's northernmost prefecture. The city of Hakodate offers a mix of cultural influences from east and west. Down the road, a fishing village keeps busy in summertime with kombu kelp drying. The trip includes stops at a dairy farm and a watermelon patch, evidence of the close connection between the people and the land. As we'll see, Hokkaido is a place where nature takes its course. This page was last modified 18:09, 9 March 2019.